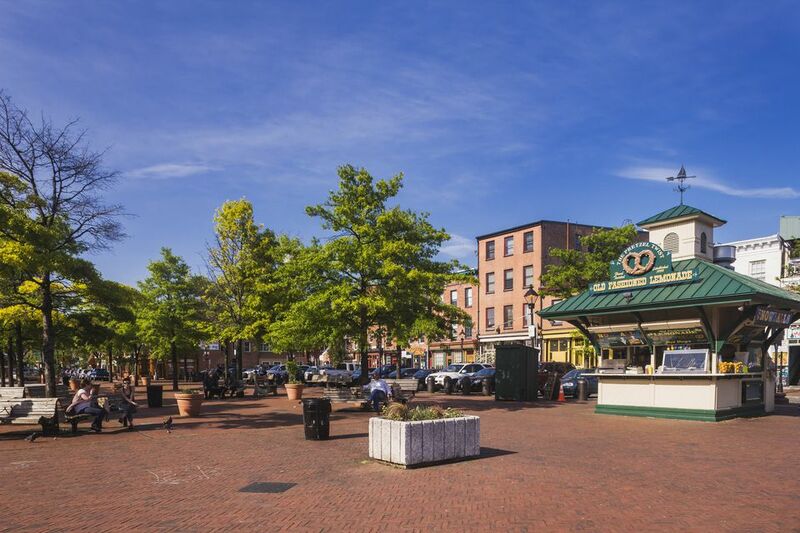 The quaint Baltimore neighborhood of Fells Point is well-known for its bars and restaurants. Fells Point's taverns, nightclubs, and fine dining fit nearly any budget, taste or occasion, whether you're toasting on St. Patrick's Day, relaxing on an ordinary Friday night, or taking an outing to the annual Fells Point Festival. "The Horse" as it's known to its regulars, boasts of being the oldest continually operated saloon in America (before, during and after Prohibition), as well as being the last spot Edgar Allan Poe was seen alive. Whether its ghost stories are true or not, this old-timey tavern in a Colonial-style building has good pub fare, an impressive beer list, and a welcoming ambiance that draws many return visitors. Max's touts itself as having "East Coast's largest fresh beer selection," which is a lot. While they do have a food menu, at Max's it's really all about the beer. The place plays host to several annual beer-themed events, including the Annual Belgian Beer Fest, Rare & Obscure, Hopfest and American Craft Beer Week. They have beer specialists available to find whatever it is you're seeking. This traditional Irish pub opens at 7 a.m. every day and serves breakfast, lunch, and dinner. They're staunch soccer (aka football) fans, and regularly appear on "best of Baltimore" lists for their food and drink options (as well as their friendly service. And a heads-up: the name is pronounced " slan-cha." Housed in a building that dates back to the 1700s, this beer-centric pub has its own microbrews. It takes its name from the affectionate term for seafarers ​and retains much of the character of the taverns of the early days of Baltimore's seaport. This bar/restaurant with its own micro brew sticks with the pun in its name throughout, in what can only be described as nun-themed decor. Try their Krispy Kreme bread pudding, Ruben dip or crabby tots, but be warned that portions are very generous. Don't let the fact that it's a Scotch bar fool you. This is a casual, neighborhood haunt with a cozy fireplace. It's got that dive bar feel but with knowledgeable bartenders who can get you whatever kind of Scotch or whiskey you're craving. This staple of Fells Point since 1975 has live music 365 days a year. Yes, every day. It's also known for its great views of the water and its crusty bartenders. A must-visit for Baltimore visitors who want a flavor of the authentic Fells Point. This quirky little establishment has the distinction of being a Pittsburgh Steelers-themed bar in the heart of Baltimore Ravens country. Despite that central conflict, Todd Conner's has exceptionally good bar food in a good old-fashioned dive bar atmosphere, which has earned it a loyal following in Charm City. For such a solid tavern atmosphere, One Eyed Mike's has a surprisingly diverse menu. What began in 2003 as a Grand Marnier bottle club has grown into a neighborhood staple which is a little removed from the rest of the Fells Point bars.